A serious injury or wrongful death can devastate a family with the emotional and financial consequences lasting long after the accident. 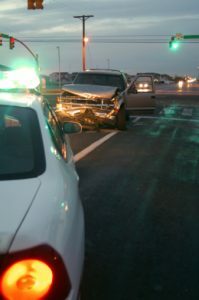 When you suffer a serious injury or lose a loved one to a catastrophic accident, you do have the right to seek redress. At The Law Office of Blair M. Johnson, we are dedicated to providing strategic and results-driven advocacy to the victims and families of catastrophic injuries and wrongful death. When you suffer an injury or loss, you deserve maximum compensation for all expenses including medical costs, lost wages, and pain and suffering. Contact us to protect your rights and claims. When you or someone you love suffers a serious injury in a car accident, you are entitled to maximum compensation from all responsible parties. You may deserve financial compensation for medical expenses, lost wages, pain and suffering, and projected long-term care needs. Blair M. Johnson will take a comprehensive approach to your case to assess both your immediate and long-term care needs. 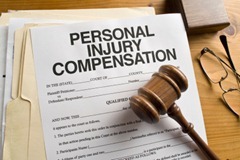 Our firm works aggressively to ensure that you and your family recover the compensation you deserve. Begin an immediate investigation into your case to collect all necessary evidence including physical evidence, witness statements, and photographs relevant to your case. Contact witnesses who can support your claim and make statements to the court regarding the accident. Consult with experts to assess damages in your case, project your losses, and make courtroom appearances on your behalf. Deal directly with insurance companies so that you can protect yourself against waiving any rights and claims. Identify all responsible parties and seek to maximize your compensationthrough settlement or trial.